Went out around 1030, the river was stained all the way to the lighthouse and beyond. Decided to go east, thinking water quality was better, and it remained heavily stained. As soon as we got ready to fish, a thunderstorm popped up. 1 seabass in the boat, and hit by a Spanish, and we were done. Not to leave empty handed, we stopped at St. Marks seafood on the way out. 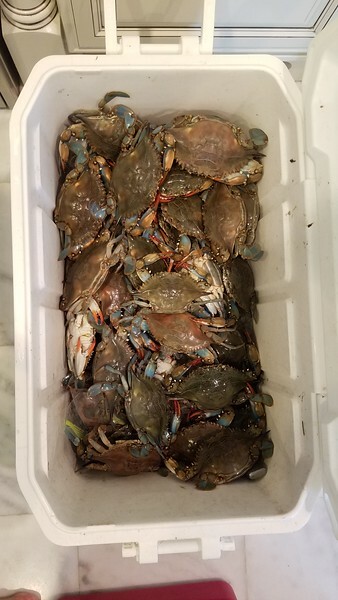 Fortunately, someone was there, and we picked up 3 dozen of Apalachee Bay's finest blue crabs. Weather is tough this time of year. Crabs look good. Srbenda wrote: Went out around 1030, the river was stained all the way to the lighthouse and beyond. 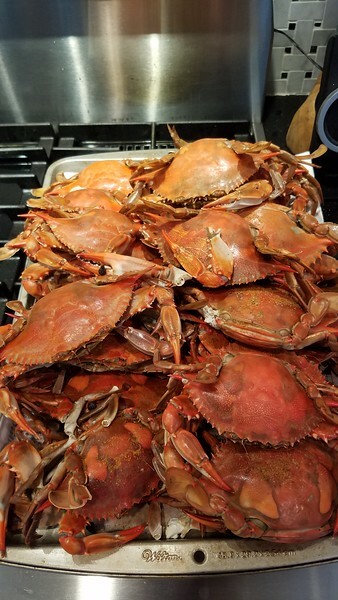 Some on the small side, but generally decent size crabs. Compared to prices in the NE, it's cheap, but I'm not sure how prices are here.